Are you looking to hire a private investigator or private detective in NYC? Whether you are seeking to hire a PI to locate a missing person, provide domestic surveillance, or conduct a background check of new employees, there are several things you should consider before signing the dotted line. 1. Is the PI licensed? 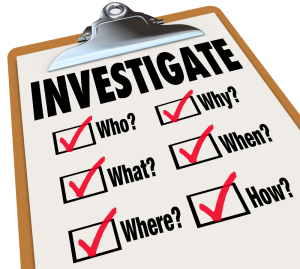 Before you choose a private investigator in NYC, you have to make sure he/she is licensed. Just because a person calls him/herself a private investigator, doesn’t mean he/she is licensed. A licensed PI in New York meets the educational and field work requirements, has passed a state-administered exam, and has passed a rigorous background and fingerprint investigation. Confirm that the PI you are considering has a license in NY before moving forward. 2. Is the PI experienced? Another factor to consider is the PI’s experience. Find out what kind of educational background the PI has, how long he/she has been practicing, and whether his/her experience lies in law enforcement or private investigation. You want to choose a PI who specializes in the services you are requesting. Ask about the PI’s experience, and see how many cases they’ve done like yours. Find out how those cases turned out. 3. Does the PI have a clean record? To make sure the PI has a clean record, you can contact New York’s association of private investigators to find out if any complaints or disciplinary actions have been filed against the PI. 4. Does the PI work out of an office? Only choose a PI that is reputable and has an office listing. Eliminate any PIs from your list who only conduct business at public locations and by phone and email, unless you specifically request that type of communication. Otherwise, you don’t know if the PI’s business is legitimate and professional, and that he/she won’t run off after you’ve paid for the services. 5. Can the PI testify in court? Depending on your case, it may be important that the PI is willing and capable of testifying in court. If the PI has a law enforcement or federal agent background, then he/she understands the ins and outs of the court system and can produce compelling evidence and legal material that will hold up in court. If your case has the possibility of ending up in court, then choose a PI can present him/herself as an expert and is prepared to testify on your behalf. Our private investigators at the New York Intelligence Agency are licensed and have many years of experience under their belts. We specialize in a wide range of investigative services, including surveillance, lie detection, missing persons, armed security, matrimonial investigations, hedge fund investigations, and more. Visit us online to learn more about our services.